View of Biennale de Lyon 2007, Musée d’Art Contemporain, Lyon. 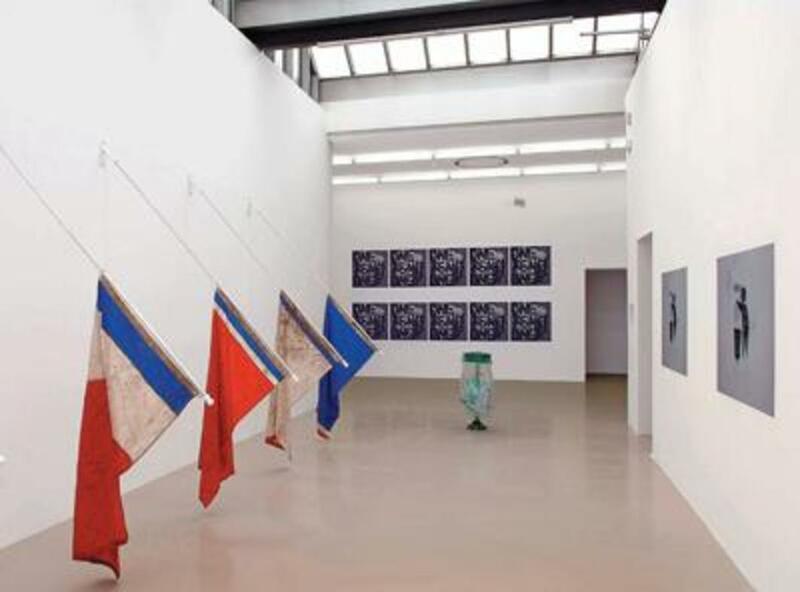 Left: Claire Fontaine, Untitled (identité, souveraineté et tradition), 2007. Photo: Blaise Adilon. THE BIENNALE DE LYON 2007, as conceived by curators Stéphanie Moisdon and Hans-Ulrich Obrist, was an attempt to write the history of the current decade“a decade that has not yet been named.” To give an account of a period still in progress is an endeavor either absurdly poetic or absurdly hubristic, and the biennial, as it spilled over three main venuesthe Musée d’Art Contemporain, a large former warehouse called La Sucrière, and the Institut d’Art Contemporainwas a little of both.